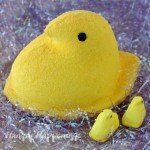 January 16, 2011 By This post may contain affiliate links. 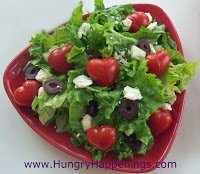 Settle in for Valentine’s Day and make your loved one a delicious Valentine’s Day Salad topped with Tomato Hearts. If this doesn’t make you hungry for love I don’t know what will. Valentine’s Day is traditionally an incredibly busy restaurant night, and there is nothing romantic about standing in an hour long line to get a table and if you have kids, getting a baby sitter can be a real challenge too. So, stay home and cook up a meal that your family will love and enjoy an evening at a restaurant another day. In the next few blog posts, I will share recipes for a special meal that is romantic enough for two, but fun and festive enough for a family Valentine’s Day meal. 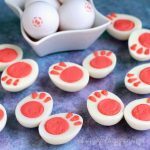 When I am looking to create fun party food, I usually look at traditional symbols of the holiday or special occasion. 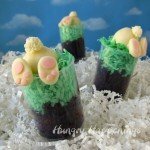 Hearts, of course, are the most iconic Valentine’s Day symbol and so many foods can be transformed into hearts simply and beautifully. 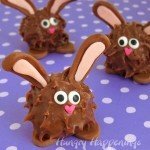 Once you begin to create edible crafts you will look at foods from all perspectives to see what shapes you can find. When you look at a grape tomato, you don’t instantly see a heart shape, but it is so easy to transform this oval shaped savory fruit into an iconic Valentine’s Day symbol. 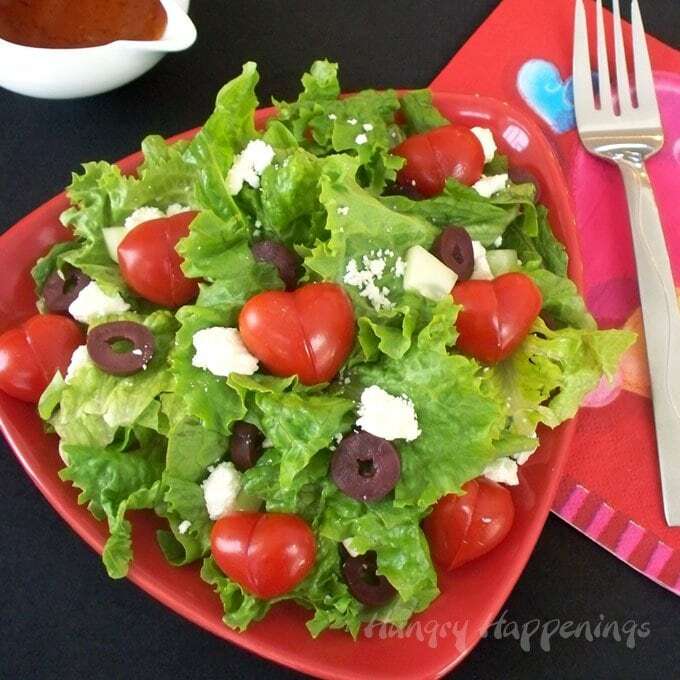 I will walk you through the easy step-by-step process so you can top a lovely salad with hearts. 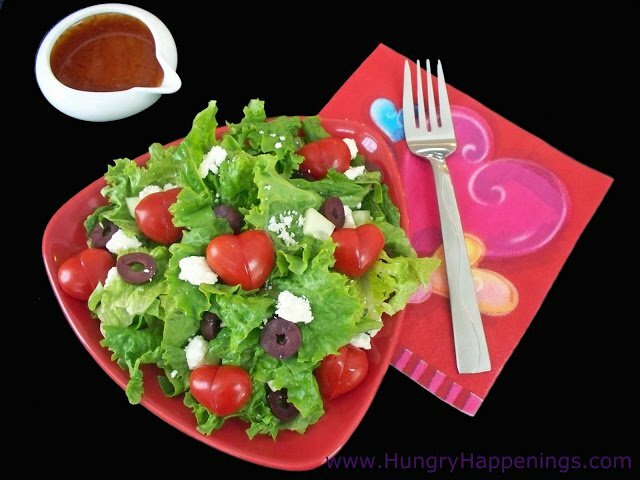 The traditional color of Valentine’s Day is red and I created a dressing for this salad that has a deep red hue. 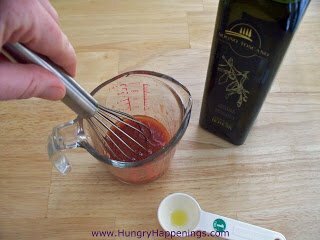 For this Mediterranean inspired salad, I’ve made a delicious tomato vinaigrette that boasts fresh tomato and garlic flavor. The dressing takes a bit of time to prepare, but it’s worth the effort. But, if you don’t want to spend the time, just use your favorite bottled dressing. 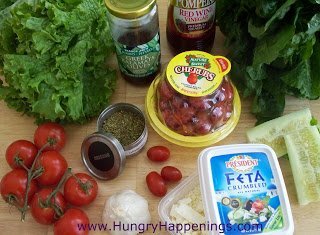 Annie’s Naturals makes and amazing Roasted Red Pepper Vinaigrette that makes a wonderful compliment to the feta cheese, olives, tomatoes, and cucumbers in this salad. It has a slight reddish/orange hue, so it also works well with the theme. If you are having a romantic dinner and don’t want to eat garlic, you can simply leave it out of the recipe. The list of ingredients is simply a guideline per person, and you can adjust the amount of each ingredient based on your tastes. Wash, dry, and tear your lettuce into bite size pieces. Use your judgement on the amount of lettuce per person. 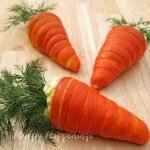 Remove the peel from the cucumber. Use a spoon to scrape out all of the seeds. Discard the seeds. Dice the cucumber into 1/2″ pieces. 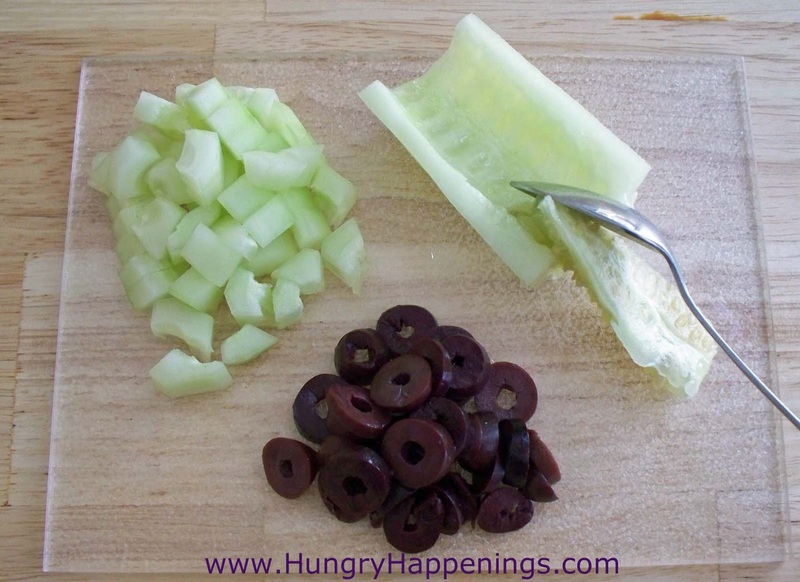 Cut Kalamata olives into thin slices. 1. Place grape tomato on cutting board. Cut at a diagonal across the short side of the tomato. 2. Separate the two halves of the tomato. 3. Pick up one half of the cut tomato. 5. Press the two tomato halves together forming a heart. 6. Finished heart shaped tomato. Put a serving of lettuce on a salad plate. Top with cucumbers, kalamata olives, and feta cheese. Carefully pick up your heart shaped tomatoes and artfully arrange them over the top of the salad. Serve your festive salads with homemade Tomato Vinaigrette or your favorite salad dressing. If you want to serve this as a dinner salad instead of a side salad, simple add some grilled chicken or shrimp. 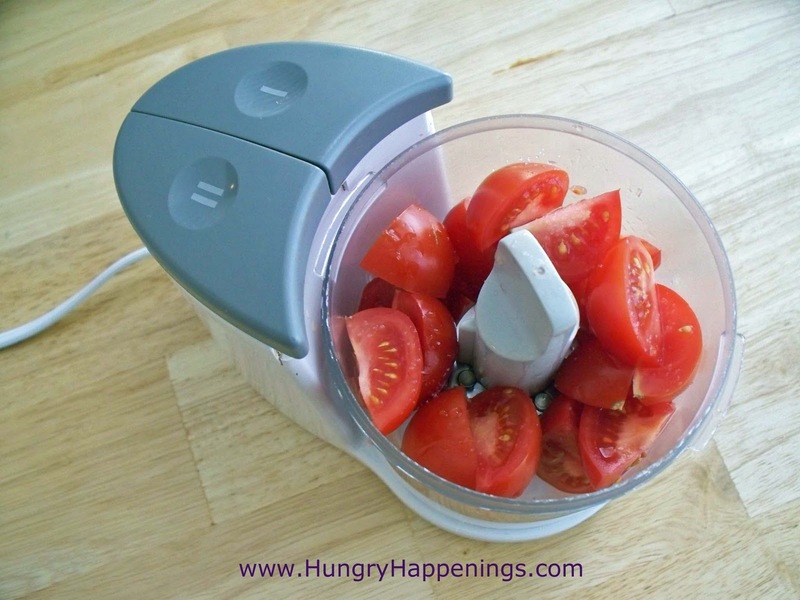 Cut vine ripened tomatoes into quarters. Sprinkle them with a pinch of salt and put into the bowl of a food processor (the food processor pictured at left is a mini one.) Puree the tomatoes until just slightly chunky. Pour tomato puree into a fine mesh sieve set over a measuring cup. Allow the juice to drip down into the cup. 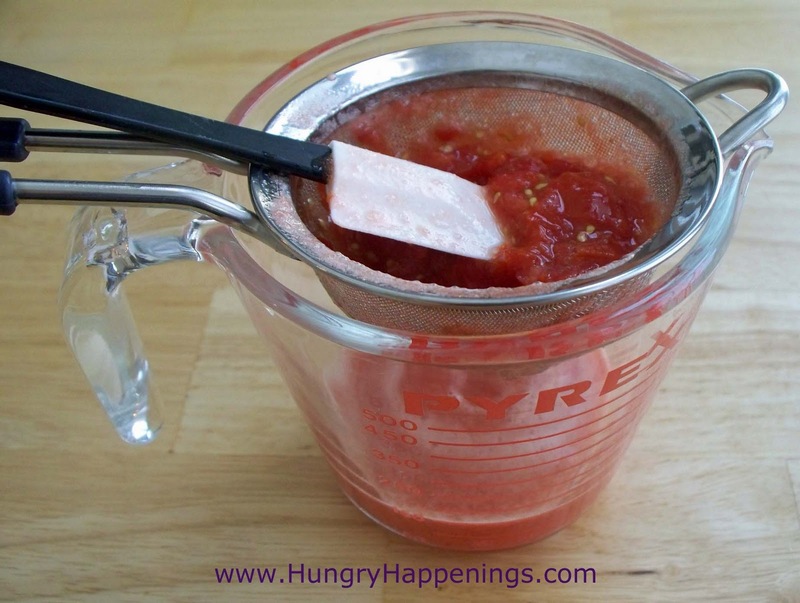 Use a rubber spatula to press on the tomato solids to extract as much juice as possible. Discard the seeds and tomato solids. 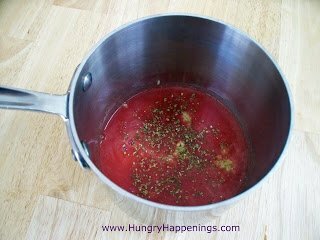 You will need 1/2 cup of tomato juice for one recipe. Discard any extra juice. Pour tomato juice into a small saucepan. Add red wine vinegar, oregano, and garlic. Heat over medium heat, simmering until liquid reduces to 3 tablespoons. Remove from heat and allow to cool. I like to strain this liquid to remove the chunks of garlic, but you don’t have to do this. The juice will be flavored with garlic but I prefer not to bite into bits of garlic in my salad. Once cooled, slowly drizzle in the olive oil while continually whisking to create an emulsion (a good blending of a watery liquid with an oil.) Season with salt and pepper to taste. Drizzle over salad. This salad is a nice first course for your Valentine’s Day dinner. 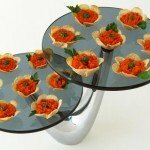 The second course will be a Valentine’s Day themed chicken Parmesan. Stop back by soon to see the main course. Thanks for sharing Ginger. I'll have to pick up a Family Fun magazine and check out the hot dog hearts. I was hoping to find them on the Family Fun website, but they haven't posted pictures yet. 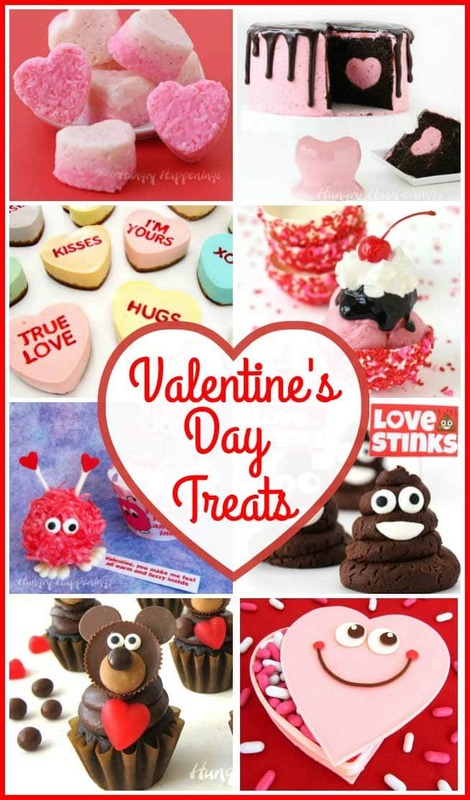 Sounds like a great idea for a kid's lunch on Valentine's Day. What a super cute idea, thanks!! At first I thought they had grown some new special tomato, lol. Salad looks great. I wouldn't doubt that some day someone will grow shaped tomatoes. Somewhere I saw a cucumber that was shaped like a heart. They must have stuck it into some kind of mold while it was growing. I pinned the picture, because I was so amazed. I shared how our salad turned out on my blog and linked back to your recipes. 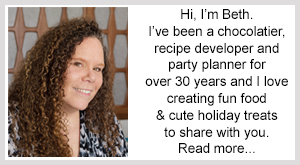 I am so happy to hear that you and your husband enjoyed these recipes. I did bread and cook my chicken scraps because my husband felt the same way; he wanted to eat the whole breast. Your salad looks great. Do you mind if I copy the picture and add it and a link to your blog in my Reader's Gallery?